Majestic spaces for saying "I do"
Omni Mount Washington Resort offers a variety of settings for your special day, from elegant to casual—both indoors and out. *Please note: All room rental fees are subject to 23% service charge and 9% NH rooms and meals tax. 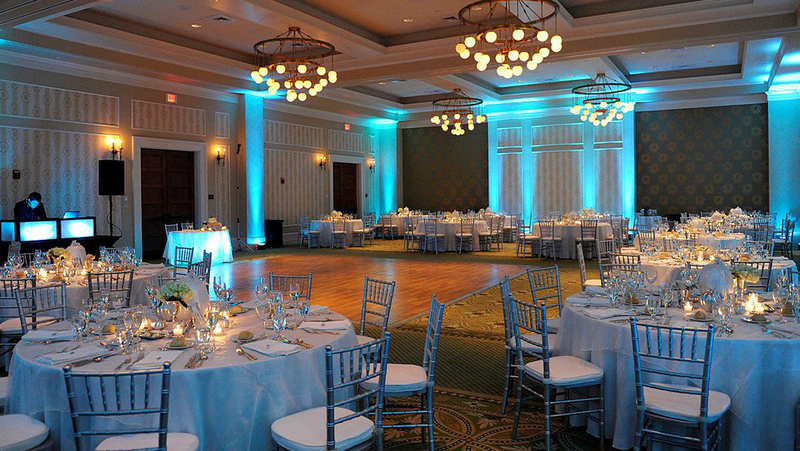 Framed by sculpted ivory-colored pillars and a panoramic view of the Presidential Range, the Grand Ballroom is perfect for an afternoon or evening wedding reception. The ballroom offers a Broadway-style stage, a magnificent inlaid oak dance floor and a lofty ceiling that provides excellent acoustics for your musical accompaniment. The Jewell Terrace is located on the roof of the Presidential Wing at Omni Mount Washington Resort, and nicely lends itself to dinner under the stars. 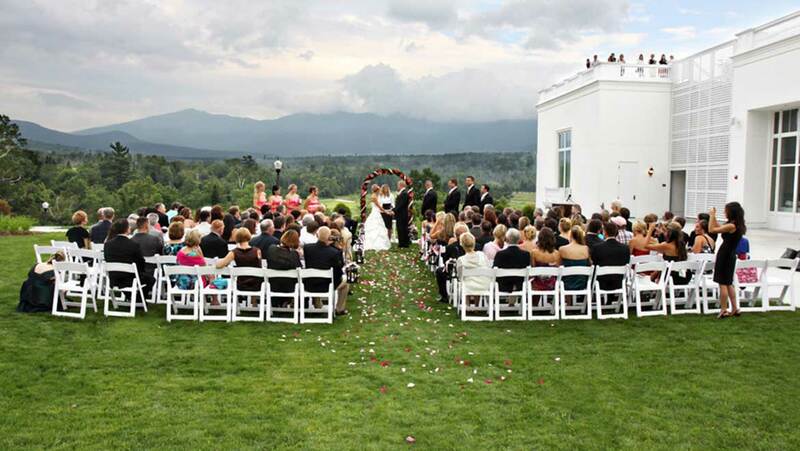 This venue is designed facing Mount Washington with expansive rich greenery and gardens and picturesque scenic views of the Presidential Range. 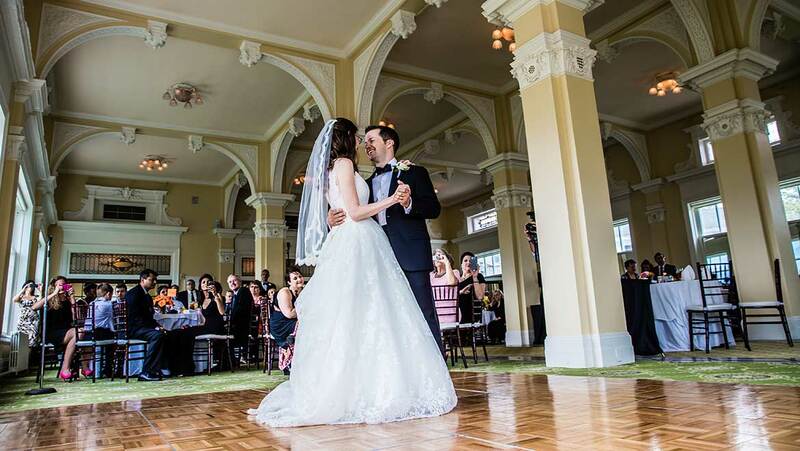 The Presidential Ballroom, located in the new Presidential Wing, lends itself to evening receptions or rehearsal dinners, as well as smaller grand weddings. The adjacent Presidential Foyer and Garden are nice complements to this venue for additional indoor and outdoor space. This beautiful area has floor-to-ceiling windows that showcase expansive lawns and gardens. 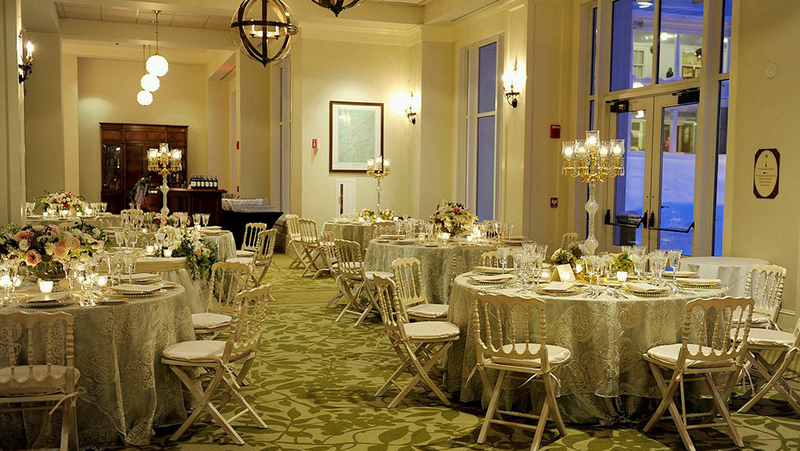 This venue is offered to all Presidential Ballroom weddings. The Presidential Garden is located outside the Presidential Foyer. 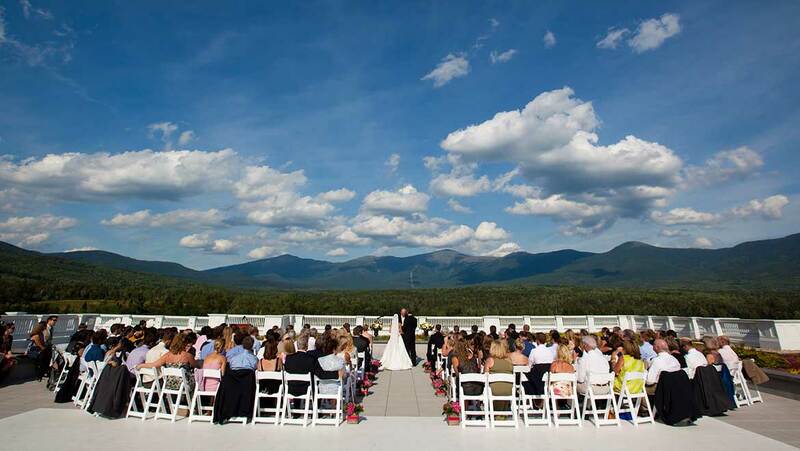 This venue overlooks Mount Washington, with expansive greenery and a picturesque scenic view of the Presidential Range. 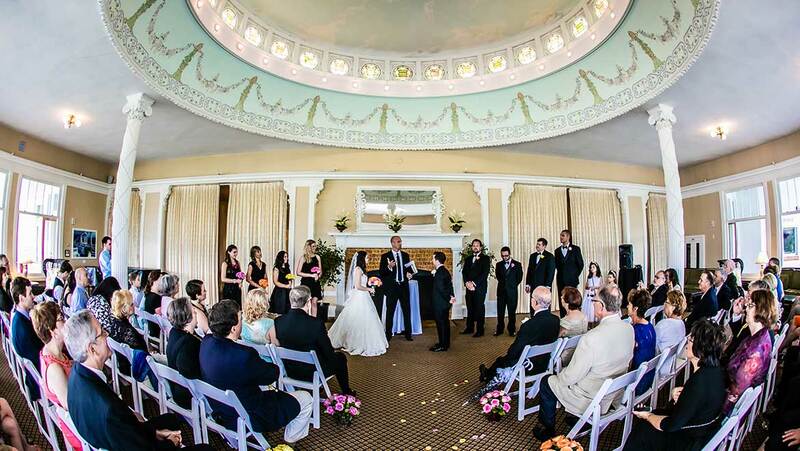 This venue is offered to all Presidential Ballroom weddings and rehearsal dinner events. 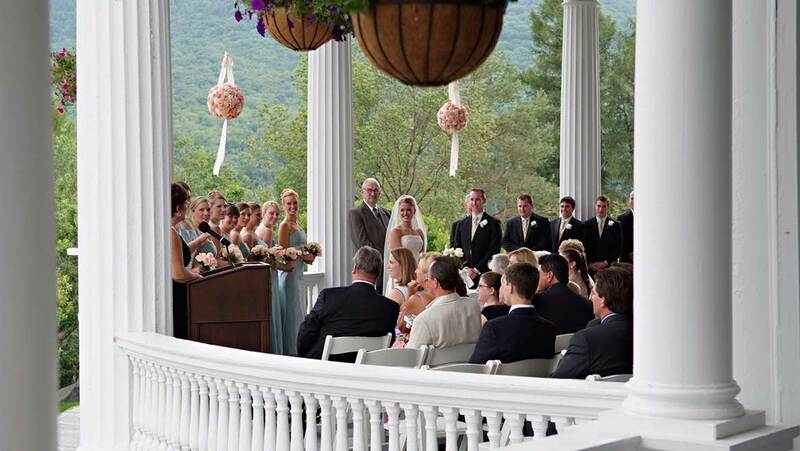 Our semicircular South Veranda offers the perfect backdrop with panoramic views of Crawford Notch for your outdoor cocktail reception or ceremony. This lawn is located outside the lower level of the hotel, and is the perfect location for your rehearsal dinner or private "after-party" plans. Tent rentals are optional. 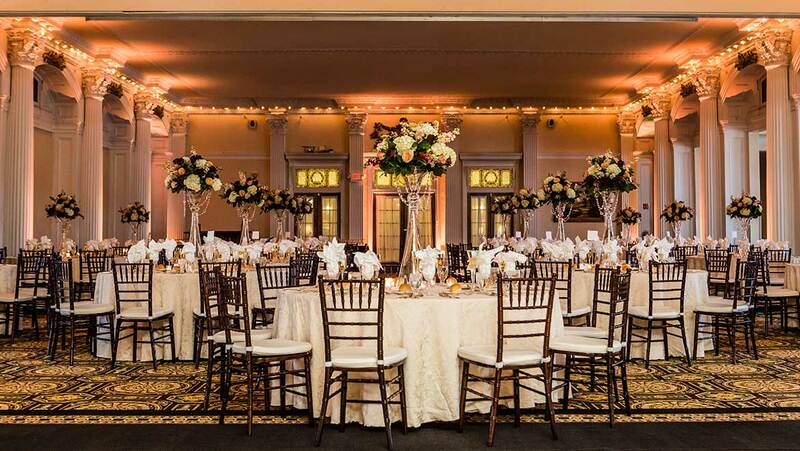 The Sun Dining Room, with a lovely yellow and ivory décor and intricately sculpted pillars throughout, offers an elegant atmosphere for an afternoon wedding reception or evening dinner. It is graced with an abundance of glass and sunshine. The beautifully ornate semicircular Conservatory provides a unique setting for your indoor wedding ceremony or cocktail reception. A formal soirée in the Conservatory can be accented by musical selections performed on the hotel’s rare Steinway piano. 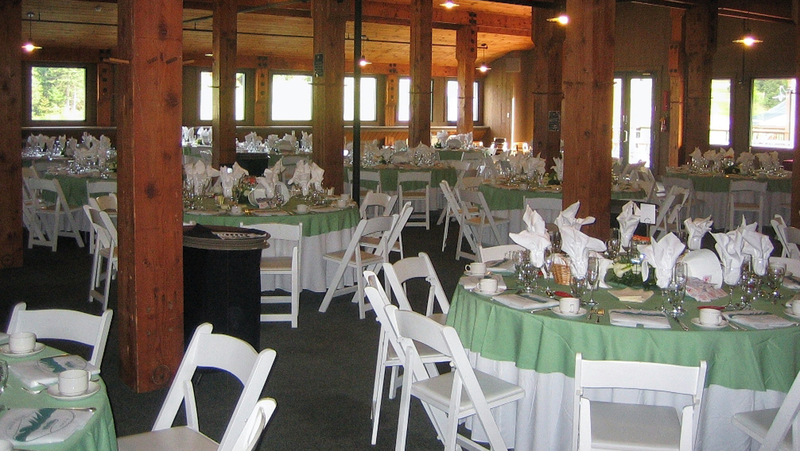 This venue is a more casual setting with many windows and views of the ski slopes, and is perfect for rehearsal or welcome dinners and wedding receptions. This venue does not include any chairs, tables and linens. All must be rented.